Pacquiao-Mayweather: Seriously, what’s Bob Arum’s problem? A MUST read! By Marquise Bullock: Well it’s known now that World Boxing Council (WBC) Welter Weight Champion Floyd Mayweather Jr. (41-0-26 KOs) is set to fight at the MGM Grand, Las Vegas, on May 5th 2012. Team Mayweather made the announcement two weeks prior to the Pacquiao-Marquez III fight scheduled for November 12th in Las Vegas. Is it surprising? No, Floyd usually does this before Pacquiao fights for promotional reasons. Because Floyd knows, just like himself, Pacquiao draws a worldwide attraction to the sport. Which by the way…is great for Boxing. “When they want to do some serious negotiating somebody will call me or (Top Rank president) Todd (DuBoef) and we will sit down and talk. It’s obviously a fight we want to make,” Arum said“. “Olympic testing is OK for this fight, blood and urine, random testing, no problem,” Arum said.” He also went on to say why book the world famous MGM Grand, when Jerry Jones of the Cowboy Stadium in Texas and other major players will put up millions for the fight? But here’s my thing, as far as random blood testing goes aka OSRBT. Bob Arum, Freddy Roach, and Pacquiao ONLY say they’ll do the testing with no problem, and are not being specific. So pretty much that’s all they say. Mayweather and some of his team isn’t sure or not whether Manny has been using PEDs, and want testing all the way up to the fight. Randomly, not everyday like some people think. So maybe three random times throughout Manny’s training, for a little teaspoon of blood and some urine. “Pac’s” fans cry out Pacquiao agreed to testing. And he has, verbally. But no specifics. Ah…but what’s this? Advisor Michael Koncz has all the specifics he said out of his own mouth on two separate occasions that Pacquiao will only test up to 14 or seven days before the fight. Personally I don’t care about the testing. But I’m not the one fighting, Floyd is and he wants the testing all the way up to the fight. Alex Ariza was on video even saying why do we have to give in to his [Mayweather] demands. As in he doesn’t even want the testing done. Roger Mayweather said that’s the behind the scenes reason the fight wont happen. It’s bad enough Floyd doesn’t want to put a dime in Arums pockets, which I believe if it wasn’t for Arum the fight would’ve happened already. Arum in my opinion doesn’t want the fight. I believe it’s not Floyd or Pac, it’s Arum. He knows win or lose his cash cow will step away from the sport, and ride off into the sunset. He’s going to milk that cow dry. I guarantee come May 5th, there will be no Mayweather-Pacquiao fight. Another thing I find crazy is how in the world can Arum say Mayweather’s announcement is a joke for Pacquiao being just a POSSIBLE opponent on may 5th, when Arum once gave Mayweather like a two week deadline. Really? May 5th is seven months away that’s plenty of time to negotiate. Pacquiao is a wonderful athlete but he needs to speak up about what he wants. What’s your thoughts fight fans? 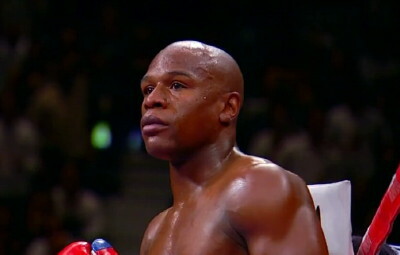 Boxing » Floyd Mayweather Jr » Pacquiao-Mayweather: Seriously, what’s Bob Arum’s problem? A MUST read!